You're reviewing: Microsoft Office 2016 Home And Student For Mac Retail Box - 1 User. The Best Office for Mac. Ever. Office for Mac has been one of the most productive and all-around software suites in the past and with the Office 2016 Home and Student edition, Microsoft has delivered another solid suite consisting of core Office applications like – Word, Excel, PowerPoint, Outlook and OneDrive as well as adds nifty and thoughtful additions keeping in mind the Macintosh OS. Add to it some exciting UI capabilities and you can vouch for a smoother, cleaner and faster Office experience both at home or at school. Office 2016 for Mac is designed to help you do more at work or at home, easily. More at Home. More at School. Now for Mac. With the Office 2016, Microsoft has designed a reliable and responsive software suite for Macintosh OS from the ground up. With full-screen view, Retina Display, scroll bounce and various useful features from Mac in place with the Microsoft Office 2016 for Home and Student edition, you can now enjoy the perfect productivity experience of Office you trust along with the seamless, intuitive user experience of the Mac you know! Word 2016 for Mac – Whether you are at school or working from home, Office 2016 comes with the latest version of Microsoft Word to help you create high quality, professional-looking documents easily. What’s new is the ability to edit, sync and share your documents with other users and collaborate on-the-go. As a Macintosh user, Word 2016 is an indispensable office tool which will allow you to get more done quicker than before. With the latest update, comes the ‘Smart Lookup’ feature for better searches, ‘Task Pane’ to easily make formatting changes to a document, overall it is an amazing update to an already solid application. Excel 2016 for Mac – The latest version of Microsoft’s Excel 2016 for Mac is more user-friendly and flexible as ever and can really leverage your work output, both as a student or a small business. With a long list of Macintosh-specific features onboard like – Full Screen view, Retina Display, Multi-Touch gestures and more, you can make the most of Excel 2016 in a clean, new experience that works seamlessly with Mac OS and integrates with Microsoft OneDrive as well. Cleaner tabs, advanced features and Mac oriented experience are all the reasons you should upgrade to the Office 2016 Home and Student software suite. PowerPoint 2016 for Mac – Make powerful presentations that move your viewers with the latest PowerPoint 2016 which comes along with Microsoft’s Office 2016 Home and Student edition for Mac. With an all-new interface, pleasant user interface, re-designed ribbon and latest themes, you can do much more with PowerPoint 2016 on Mac. Plus, it is better integrated with Microsoft OneDrive and Office 365 for a smooth overall experience for Macintosh users. With more flexible presenter view and responsive transitions, PowerPoint Broadcast service and better animations, this version offers more usability, likeability and overall power to users. OneNote 2016 for Mac – OneNote has always been a versatile tool for productivity and with the 2016 version, you can take your note-taking abilities at school or at home to the next level. Whether you are capturing your ideas on-the-go or putting it down at school, you can easily utilize the OneNote 2016 application for Mac and can also sync your information with the OneDrive cloud and get up to 25GB of free storage. Plus, you can also edit and share your documents with others and the application works seamlessly to allow you to create sophisticated documents as notes with the updated ‘Clipper’ feature that allows full web pages and articles to be captured. 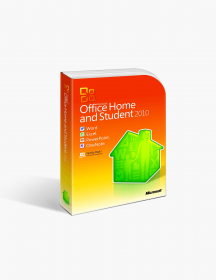 Reliability – Microsoft’s trust and quality has withstood the test of time and with the latest Office 2016 Home and Student suite for Mac, they have again raised the bar with a complete, all-in-one productivity tool that will find its fit for Macintosh users at home or at school. It is a reliable and responsive software suite which comes with the guarantee to improve your productivity on Mac. Basically, you can rely on it to deliver high quality and efficient performance in everyday life. 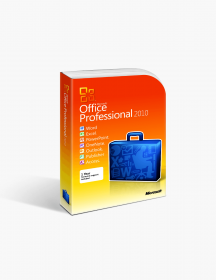 Best in Class – Microsoft has been a global leader in developing powerful feature-rich software applications and Office 2016 has further improved upon their best in class tools like Word, Excel, PowerPoint and Outlook. 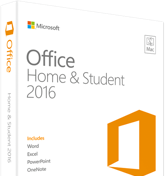 Add to it a beautiful and seamless user experience for Mac and you already have a winner with Office 2016 Home and Student edition. Value for Money – At a reasonable and pocket-friendly cost, you get access to prime productivity applications used around the world. 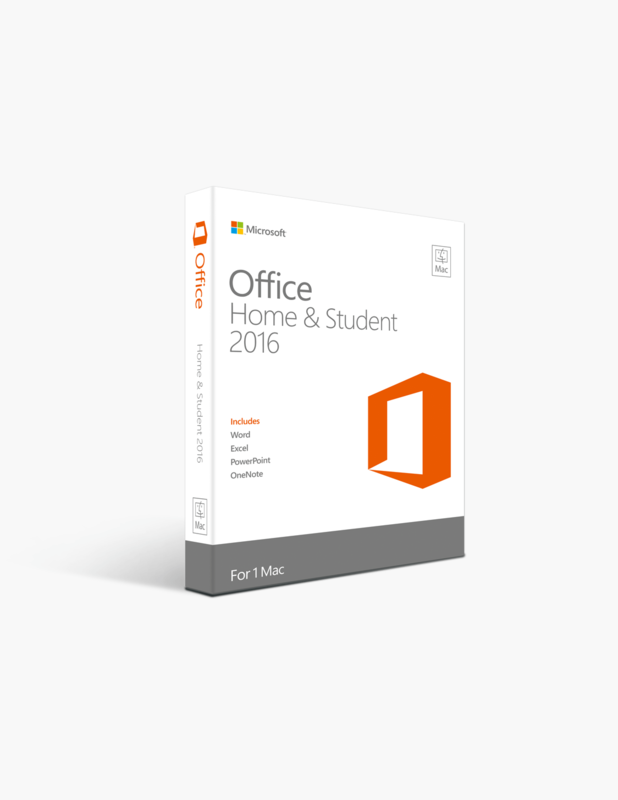 Microsoft Office 2016 Home and Student for Mac edition is a complete bang for your buck in terms of the core Office applications it offers as well as the user-friendly Mac experience it delivers consistently along with Microsoft’s help and online support service. 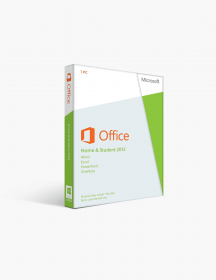 These are minimum system requirements for installing Microsoft Office 2016 Home And Student For Mac Retail Box - 1 User.